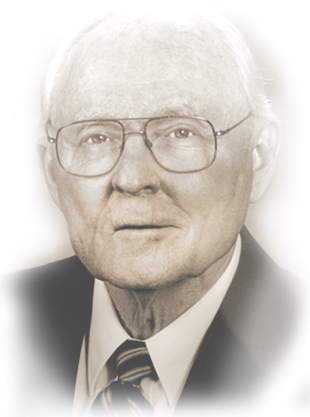 Edwin L. Barnes (Ed) has served over 69 years in the telephone industry. Currently, he is Vice Chairman and Director of Comporium, Inc., Vice Chairman, Treasurer and Director of Home Telephone Company, Inc., President and Director of Community Long Distance, Inc., Vice President and Director of IAI, Inc. and Secretary, Treasurer and Director of Hopewell Foundation, Inc. He has served in numerous capacities and positions of subsidiaries and affiliates of Comporium, Inc. (Rock Hill Telephone Company) and Home Telephone Company. A life-time member of the Independent Telephone Pioneer Association and a member of the Comporium Pioneer Club, at age 89, Ed is still keeping office hours and contributing to the operation of the company. The son of the late Frank Sanders Barnes and Frances May Milling Barnes, Ed received his engineering degree from Georgia Tech in June, 1945. He went on to the U. S. Naval Reserve Mid-Shipman's School at Columbia University in New York City and, upon completion, served as damage control officer on the USS Tucson until his release from active duty in August, 1946. He then began his telephone career as an engineer with Comporium, Inc. (Rock Hill Telephone Company. Ed is a former President and Director of the South Carolina Telecommunications and Broadband Association (South Carolina Telephone Association (SCTA)). He was inducted into the South Carolina Telephone Hall of Fame in 2002. He served on the OPASTCO Operator Services Committee during the AT&T "take-back" era, and over the years, on various committees for the United States Telephone Association. His interest in education and the community has been demonstrated by his former service as Chairman and Treasurer of the Rock Hill School District Board of Trustees and as a director of the South Carolina School Board Association. He is also a former member of the York Technical College Commission and the York Technical College Foundation Board. Ed formerly served as Chairman and Treasurer of the York County Chapter of the American Red Cross and is currently a member of the Rock Hill Rotary Club and the American Legion. He was honored by fellow Rotarians with the Paul Harris Fellow Award in recognition of his service to the community. He is a member, an Elder and a former deacon of Westminster Presbyterian Church of Rock Hill.